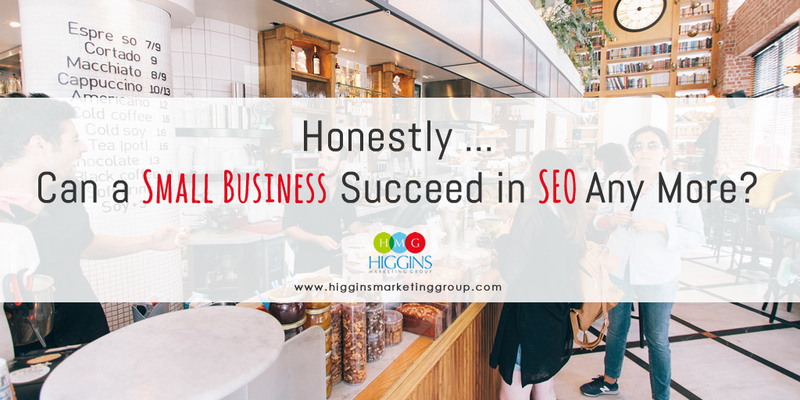 Honestly ... Can a Small Business Succeed in SEO Any More? Search Engine Optimization (SEO). 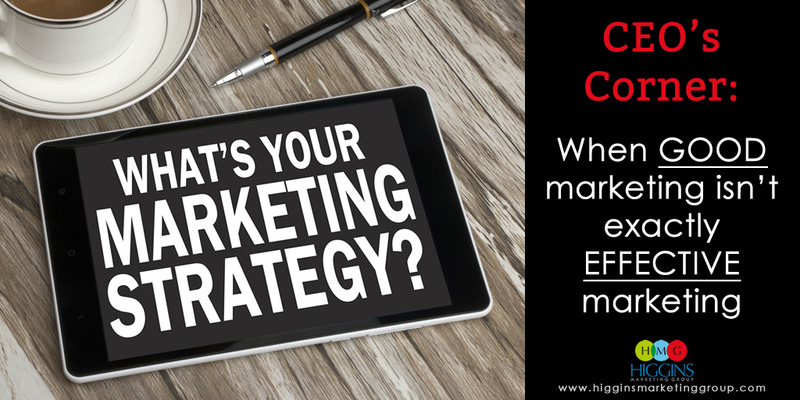 It’s been the marketing buzzword ever since it became a thing. There’s really no question that ranking high in the organic search rankings can be VERY GOOD for your business. But wait, maybe you’re a small business and you’ve been working on bumping up your SEO rankings for a while now, but all you see on page one of Google are big-name competitors. You may be wondering… Can a local or regional business without super deep pockets succeed in SEO anymore? Fortunately, the answer is “yes”… BUT to see results, it needs to be done properly. The truth is the big boys with 1000-page websites and a team of content marketers and backlink geeks have some real advantages. However, with the right strategies, the nimble small business can out-smart their larger competitors and take advantage of the truly local nature of their business. 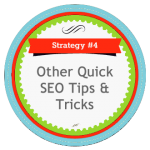 If you’re looking to boost your rankings, here are some strategies that will help! Long tail keywords are where it’s at these days. Even if you’ve never heard of them, there’s a good chance you’ve used them. Long tail keywords are basically just extended phrases that search engines look for. Let’s say you’re a plumber. Keywords like “plumber,” or “plumbing service” will definitely yield a high volume of searches as these are popular keywords, but they’re also going to be the most competitive keywords – keywords that will require A LOT of time, effort, and dollars to earn high rankings for. What’s my advice (at least for the early stages of your SEO journey)? Pick your battles! Let others fight these ultra-competitive keyword battles while you take a more strategic approach. The idea behind employing long tail keywords is that you’ll almost always rank higher for a more specific, less-used keyword (it’s less competitive, right?). So what do long tail keywords look like? Well, for a plumber a long tail keyword might be “replacing rusty drain lines,” or “water heater installation.” This is what potential customers are typing into Google when trying to find information or solve their problem. So if you’re focusing on these types of keywords, your website will be seen as more relevant by Google and other search engines – resulting in higher rankings. If you’re truly a local business, OWN IT. The trend in local search is getting even more local if you can believe it, which gives you a unique advantage over large competitors. Play up your ties to the neighborhood rather than just saying you serve the metro area. So let’s say you’re a plumber in a suburb of Columbus, Ohio. Your chances of standing out for “plumber in New Albany” are MUCH higher than if you’re using “Columbus plumber” as your target keyword. Another great way to take advantage of your local ties is to get involved in your community. Is there an upcoming street festival? What about a fundraiser? Find a way to get yourself and your business involved. It’s a great way to network with people in your community and get your name out there. Plus, it gives you the opportunity to promote the event on your website and social media pages beforehand – and then provide a little recap after the fact (read “promote” to mean creating great LOCAL content that search engines love!). Again, this creates a better SEO connection between your business and the community, something your bigger competitors won’t be able to do. The content marketing game is critical for success in SEO. It’s also an area where you can beat out the bigger companies — you’re down in the trenches working every day, hearing the questions customers and prospects have, giving you the upper hand when it comes to publishing quality content. Giant corporations tend to produce more fluff pieces that don’t say much and do little more than promote themselves. But as a small business, you can start a blog that focuses on well-thought content that actually helps consumers. How cool is that? Let’s take a look at that fictional plumbing business one more time. Blog topics that could work well include, “How Can I Reduce My Water Bill?” or “Why Don’t I Have Hot Water?” These are common questions your customers and others are likely asking , and you’ll swoop in to provide the answer! This helps position you as an expert in the industry, establishing you as a trusted advisor. 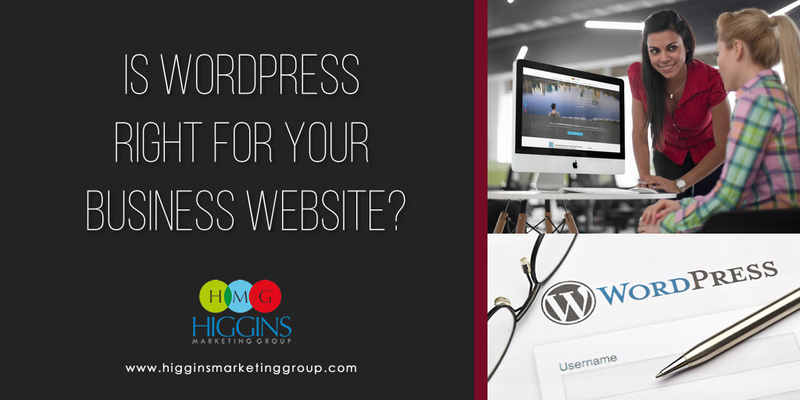 It also increases the likelihood of folks returning to your site down the road – whether for advice or service. These blogs also provide the perfect place to incorporate keywords — especially those long tail keywords we talked about earlier — to attract potential customers. Hold onto that domain name. OK, so maybe your domain name isn’t super keyword friendly… but before you go updating it to something that is, take note — most search engines place a higher value on a business whose had the same domain name for years. Why? Because it shows stability. Instead of changing your domain name, consider taking time to actually making your current site more effective from a SEO and conversion perspective. Find your niche. You’ll never be successful by simply copying what others are doing. Identify your unique selling point and your unique expertise/views. Then build your SEO strategy around that. You’re much more likely to see a boost in your rankings if you’re really diving into a specific area rather than trying to be all things to all people. Optimize your website. Get those keywords on your website! Obviously having a blog will go a long way toward implementing keywords on your site, but there are other places you can incorporate them, too. Think body paragraphs, headers, page titles, image alt tags, etc. These are all components of what’s called “on-page optimization” and you want to make sure you get these things right! Keep an eye on your reviews. Your online reputation matters. That’s an obvious point when it comes to the impression you’re sending to prospective customers, but it’s also important when it comes to search. Google wants to provide its users with a positive experience – from search – to website – to services rendered. The trend is well underway… more and more, businesses with a strong portfolio of current and legitimate online reviews will reap the benefits of higher rankings! If your business isn’t popping up on the first page of a search result, 70 percent of your potential customers will have no idea that you exist. This is why SEO is often critical to small business success. I’ll be honest, it’s not easy work. You also need to exercise some patience as it often takes a few months to start moving the needle. The rewards, however, are SWEET! If you want to have an initial discussion about your SEO strategy, just let us know.